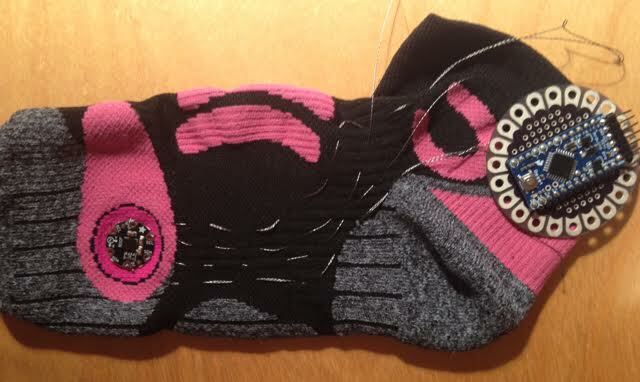 IOT Sock Tells You What It’s like in the Washer #WearableWednesday « Adafruit Industries – Makers, hackers, artists, designers and engineers! Most people think of appliances when they think of the Internet of Things, however, Guido Burger of Fab-Lab, Germany had a more interesting take on the idea. While I was working on a Smart Home hack, I got the choice between a smart oven, a smart fridge and a smart washing machine. The smart washing machine was the most interesting one, because why the hack do you need a smart washing machine at all? They are already smart (weight sensor, special washing programs, etc), but I got interested as the cloth in the washing machine was not at all connected. So, taking the possibility to transmit data from a sensor being under water was a great basis – a must have. It sounds crazy, but isn’t it an amazing experiment? 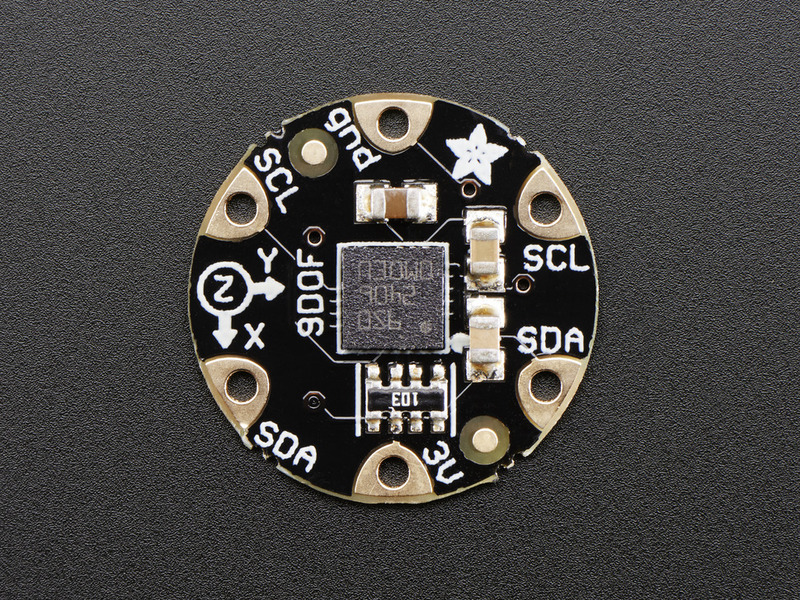 Guido started with a Lilypad Proto board, a Lilypad RGB LED, an Arduino Pro Mini and an Adafruit FLORA 9 DOF sensor. The sensor is what makes things fun. The sock has a 9 DOF sensor, so you can do two things with it–monitor the sock during the washing process ( How many g-forces a sock has to survive – do you know?, What is the actual rotation speed? How many times is the sock going to be washed?) and answer questions you’ve never thought about ;-). The 9 DOF sensor drives an RGB LED, so you can even see the sock while taking a roller coaster ride…green-all ok, red-woooh! I suspect Guido has a fancier washing machine than I have, as his must be a front loader with a window. I’m still stuck with the boring top loader with no glass. Anyway, let’s get to the real question at hand–how is all this stuff working under water? Well, Guido discovered that he needed to coat the electronics with acrylic resin, except on the through holes for the conductive thread. He also switched from a LiPo battery to a coin cell, as it had a better rating for this rough and tumble temperature changing life. His latest version of the sock features Bluetooth Low Energy, so now I’m looking forward to seeing an app with reports about the sock in a spin cycle. I’m sure this is going to solve the mystery of those holes in my socks. Curious about your socks? Well, you can make one of these sock sensing gizmos yourself using a FLORA, a NeoPixel and the FLORA 9 DOF sensor that Guido used. I’ll leave you with the sensor to tempt your laundry basket–it’s an accelerometer, a gyroscope and a magnetometer all in one. Hellooo suds!